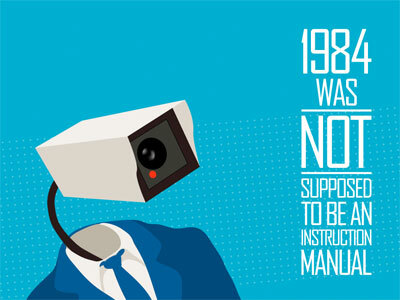 When George Orwell (pen name of Eric Blair) first published his famous novel, Nineteen Eighty-Four, it was the year 1949, and it told a dark story of what he envisioned life may be like in the future-in the year 1984. 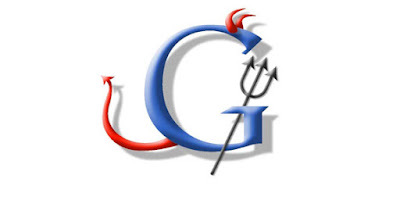 His book, as well as his name, have become synonymous with privacy concerns involving technology and also an all-powerful, oppressive ruling elite that strictly governs the activities of the population with an iron fist. Today that world is here, only the iron fist is not yet apparent. 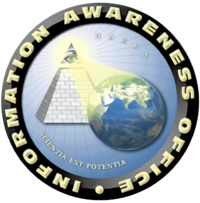 The Information Awareness Office was established in January 2002 to provide the U.S. with "total information awareness" in the wake of 9/11. 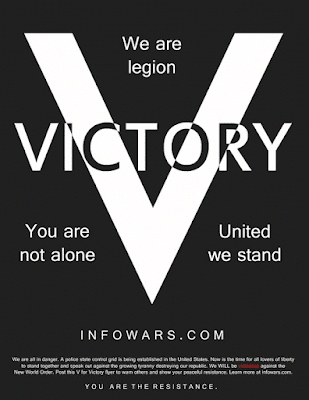 Utilizing the full capabilities of Echelon technology and a sister organization called the Information Exploitation Office, the US foreign and domestic spying capabilities are akin to an "All-Seeing-Eye". The Information Awareness Office (IAO) was established by the Defense Advanced Research Projects Agency (DARPA) in January 2002 to bring together several DARPA projects focused on applying surveillance and information technology to track and monitor terrorists and other asymmetric threats to national security, by achieving Total Information Awareness (TIA). 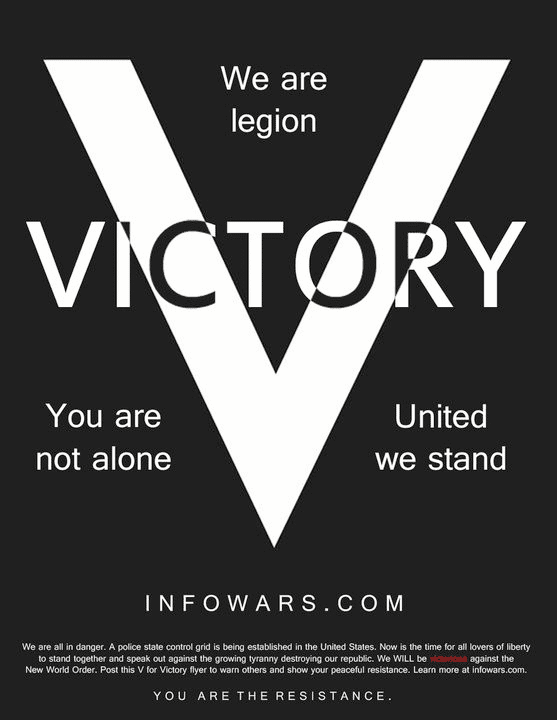 This would be achieved by creating enormous computer databases to gather and store the personal information of everyone in the United States, including personal e-mails, social networks, credit card records, phone calls, medical records, and numerous other sources including, without any requirement for a search warrant. This information would then be analyzed to look for suspicious activities, connections between individuals, and "threats". Additionally, the program included funding for biometric surveillance technologies that could identify and track individuals using surveillance cameras, and other methods. Following public criticism that the development and deployment of these technologies could potentially lead to a mass surveillance system, the IAO was defunded by Congress in 2003. However, several IAO projects continued to be funded, and merely run under different names. Orwell’s book is where we get the term Big Brother from, such as when people say "Big Brother is watching you" represented literally by the occult "all seeing eye" on the seal of the Information Awareness Office or the reverse side of the U.S. one dollar bill. When people say this, they're referring to the omniscient surveillance system described in the novel that continuously watched and listened to people-even in their own homes. When we call something Orwellian to describe the invasiveness of certain technology or government policies, we are also referring to George Orwell’s nightmarish vision he described in his novel. There are several other terms that Orwell himself coined in Nineteen Eighty-Four, such as doublethink, thought crime, and memory hole, which have also become part of our vernacular. Click the title link of this article to learn about Echelon: the total global surveillance network; TEMPEST- how the government reads variations in electromagnetic radiation from your computer keyboard to tell what you are typing; the FBI listening to your conversations with your cell phone turned off; how Microsoft corporation, and Google store private user information for law enforcement to shut down web sites; airborne drones watching you from the sky. Pictured above is the Tomb of the Unknown Soldier at Arlington National Cemetery. 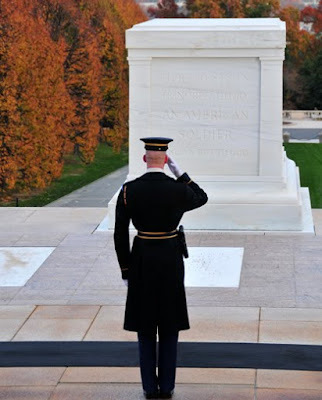 It is an honor to perform guard duty at the tomb. For a person to apply for guard duty at the tomb, he must be between 5' 10' and 6' 2' tall and his waist size cannot exceed 30. They must commit 2 years of life to guard the tomb, live in a barracks under the tomb, and cannot drink any alcohol on or off duty for the rest of their lives. They cannot swear in public for the rest of their lives and cannot disgrace the uniform or the tomb in any way. After two years, the guard is given a wreath pin that is worn on their lapel signifying they served as guard of the tomb. There are only 400 presently worn. The guard must obey these rules for the rest of their lives or give up the wreath pin. The shoes are specially made with very thick soles to keep the heat and cold from their feet. There are metal heel plates that extend to the top of the shoe in order to make the loud click as they come to a halt. There are no wrinkles, folds or lint on the uniform. Guards dress for duty in front of a full-length mirror. Medal of Honor winner Audie L. Murphy, the most decorated soldier of WWII and of Hollywood fame. In 2003 as Hurricane Isabelle was approaching Washington DC, our US Senate/House took 2 days off with anticipation of the storm. On the ABC evening news, it was reported that because of the dangers from the hurricane, the military members assigned the duty of guarding the Tomb of the Unknown Soldier were given permission to suspend the assignment. They respectfully declined the offer, "No way, Sir!" Soaked to the skin, marching in the pelting rain of a tropical storm, they said that guarding the Tomb was not just an assignment, it was the highest honor that can be afforded to a service person. The tomb has been patrolled continuously, 24/7, since 1930. Does Hilary Clinton, Secretary of State honor our veterans? You be the judge. On Wednesday, February 16 she gave a speech at George Washington University condemning governments that arrest protesters and do not allow free expression of speech. In the video posted below of that speech she deplores the Egyptian government cutting off Internet and cell phone service to it's citizens. Yet she will not tolerate a lone veteran who says nothing while standing with his back to her during the speech. At Clinton Speech: Veteran Bloodied, Bruised and Arrested for Standing Silently. As Secretary of State Hillary Clinton gave her speech at George Washington University yesterday condemning governments that arrest protesters and do not allow free expression, 71-year-old Ray McGovern was grabbed from the audience in plain view of her by police and an unidentified official in plain clothes, brutalized and left bleeding in jail. She never paused speaking. When Secretary Clinton began her speech, Mr. McGovern remained standing silently in the audience and turned his back. Mr. McGovern, a veteran Army officer who also worked as a C.I.A. 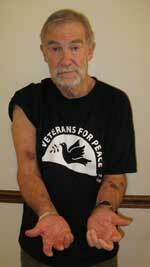 analyst for 27 years, was wearing a Veterans for Peace t-shirt. Blind-sided by security officers who pounced upon him, Mr. McGovern remarked, as he was hauled out the door, "So this is America?" Mr. McGovern is covered with bruises, lacerations and contusions inflicted in the assault. "I find myself wondering if this show of brutality may be a signpost on a path to even wider and more brutal repression. I have been comparing what happened during Clinton’s speech Tuesday with my four-minute mini-debate with Donald Rumsfeld on May 4, 2006 in Atlanta. Halfway through, Rumsfeld gives the nod to a black-hatted security fellow to elbow me away from the microphone. I shout, 'So this is America.' Rumsfeld takes one look at the TV cameras streaming live, makes a snap decision, and tells the security fellow to let me stay. During that same speech in Atlanta, one fearless witness stands dead-center in the audience with his back to Rumsfeld for the entire speech and is not bothered, much less beaten and jailed. The contrast between the experience of May 2006 and February 2011 can be viewed through the prism of the proverbial 'boiling frog.' There does seem to be a subtle but successful campaign to get people gradually accustomed to increasingly repressive measures; and many, perhaps most, Americans seem oblivious." After 9/11 Norman Mailer saw a 'pre-fascist climate' reigning in America. If we don’t stand up for our rights, it may not be long before we shall have to drop the 'pre.'" Veterans For Peace is proud of our member Ray McGovern, whose simple, dignified action speaks volumes about the power of non-violence. We abhor the actions of the security personnel who reacted violently and in flagrant violation of Mr. McGovern’s First Amendment rights. We also deplore the indifference of Secretary Clinton who didn’t bat an eye and we demand that she apologize for her silence and hypocrisy. Most importantly, we call on the American public to wake up to the dark reality of what this country has become…a place where civil liberties and freedom of expression are becoming increasingly endangered, and the government’s response to every situation is intimidation and force. Call 202-647-4000 and write Sec. Clinton to protest.